Instant replay: Watch the full video of Mr. Trump's State of the Union address from Tuesday night. Facing a divided Congress emerging from a protracted government shutdown that has sent his approval rating spiralling to fresh lows, U.S. President Donald Trump delivered a State of the Union address that offered few olive branches to his opponents, even as he dug in on his most contentious campaign promises. Here are some of the key take-aways from Mr. Trump’s address. 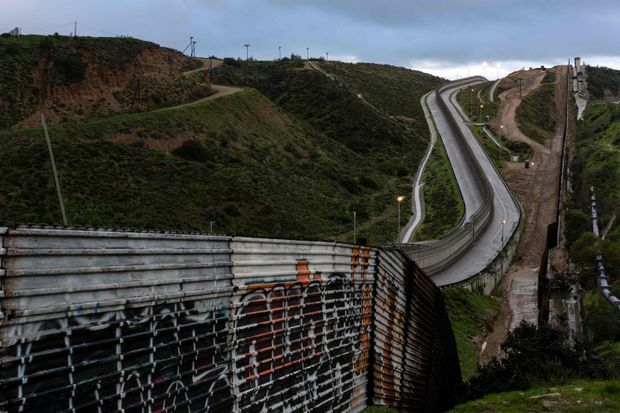 The U.S.-Mexico border fence as seen from Tijuana, Mexico, on Feb. 5. Jan. 15, 2019: American soldiers board a Chinook helicopter to head out on a mission in Afghanistan. He called for Venezuelan president Nicolas Maduro to step down, attempting to draw links between the Latin American socialist leader and policies espoused by far-left members of the Democratic Party. House Speaker Nancy Pelosi and Vice-President Mike Pence react as Mr. Trump delivers the State of the Union address. His push for the federal government to end HIV transmissions within the decade, fund research on childhood cancers and introduce paid family leave “shows at least some willingness to step away from his party” in search of common ground, Brookings’ Mr. Hudak said. At the same time, Mr. Trump took thinly veiled shots at special counsel Robert Mueller’s investigation into potential collusion between the Trump election campaign and Russia, as well as Democrats’ own push to investigate the president’s finances and foreign relationships. “An economic miracle is taking place in the United States and the only thing that can stop it are foolish wars, politics or ridiculous partisan investigations,” he said. His calls for unity also contrasted with his hardline stances on issues that Democrats are sure to oppose. The talk seemed almost structured to “give his base what he thinks it wants to hear while also making him sound less partisan going in and then coming out of this unique speech situation,” said Vanessa Beasley, an expert on U.S. political rhetoric at Vanderbilt University in Nashville. 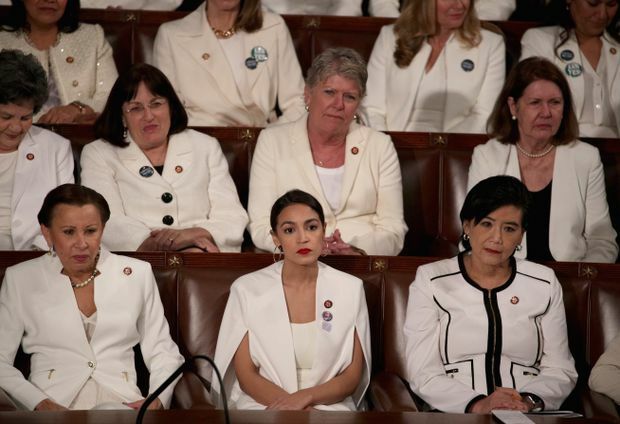 A group of female Democratic lawmakers chose to wear white at the speech in solidarity with women and a nod to the suffragette movement. 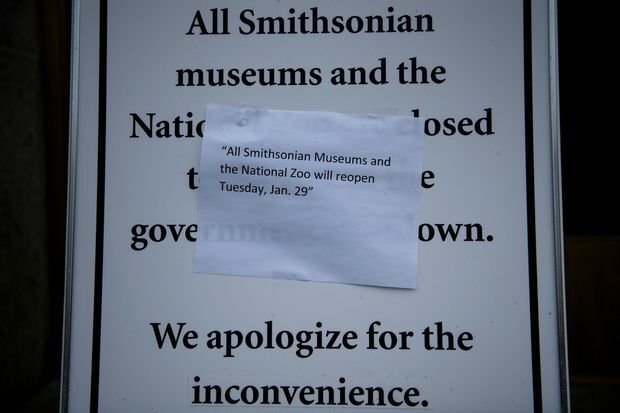 Jan. 27, 2019: A sign outside the Smithsonian American History Museum lets visitors know when it will be open again during a temporary reopening of U.S. government services. Congressional leaders have until Feb. 15 to avert another government shutdown by negotiating a compromise that will address Mr. Trump’s request for billions in new border-wall construction. The president used his televised address to urge Congress to pass what he called a “common-sense proposal” on border security that includes humanitarian assistance and investments in border crossings. But he offered no indication he is actively trying avoid another round of political deadlock. “He was clearly continuing the same kind of rhetoric that put us in a shutdown,” Mr. Hudak said, “signalling that he has no fear about causing another shutdown." 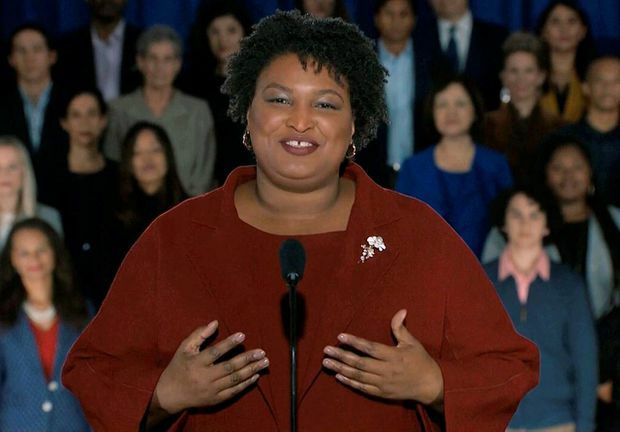 Stacey Abrams delivers the Democratic party's response to President Donald Trump's State of the Union address.